A Chromebook is something many have not heard of, although many will have in the homes in the coming years. PC World have been selling them, quite quietly, for the last year or so and now they have listed the new HP variant of the low priced laptop running Chrome OS. 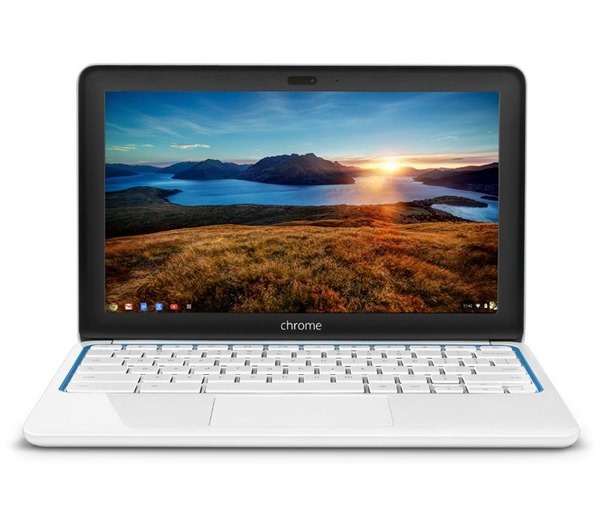 The Chromebook the hardly in the race for the best specc’d device on the market, more focused on providing the richest internet experience for the lowest price. Historically Chromebooks are somewhat hit or miss with users. Combining cheaper materials with an entirely online and cloud based service that put most off, a difficult adjustment for even the most hardened techie. However, speak to any Chromebook user and they will easily big up their little back pack friendly tool. A Chromebook user has to be prepared to fully embrace Cloud computing, a constant search for a wireless connection and an OS still in it’s infancy but with a massive blank canvas on which to paint. Google and HP are addressing some of the major weak points of the Samsung Chromebook, which was flimsy and had limited viewing angles with a robust build quality and a superior screen. In a nice touch, the new Chromebook charges via micro-USB, so Android phone or tablet users can use the same charger. While those are nice improvements, the tech specs are unfortunately unchanged from last year’s model. The Samsung Chromebook was reported to struggle open a lot of browser tabs, lengthy online documents or playback higher quality Youtube videos. As with other Chromebooks, Google throws in 100GB of Google Drive storage for two years. The HP runs on the same ARM-based Exynos 5250 processor, 2GB of RAM, 16GB of storage and two USB ports. Both the old and new laptops have 11-inch displays, each with a resolution of 1366 by 768 pixels. The HP looses the SD card slot, a particularly mean decision. PC World are selling the Chromebook for £229 and only list one of the four colour’s available. If you missed the release of the biggest game of the year, you must not have heard all the media-hype from under the rock you were obviously living. Selling a huge 1.57 million copies in its first day of release, you cannot escape the buzz surrounding Grand Theft Auto 5. It is already the 24th bestselling game ever, despite only being released on Xbox 360 and PlayStation 3. The games developer, Rockstar, has remained tight-lipped over whether or not they will release a PC version, leaving many fans in limbo. However, the previous editions of the game have all been released on a PC platform so there may be hope. This, teamed with a growing online petition along with some seemingly leaked screenshots of the game, mean fans are remaining confident that the announcement will be imminent. In order to make the most of the game – once they finally get their hands on it, lots of gamers are investing in new laptops so they can fully enjoy the graphics and sounds. 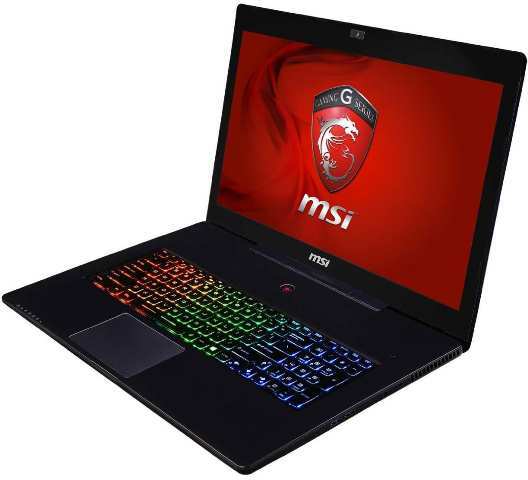 With this in mind, we’ve decided to take a look at one of the best gaming laptops on the market, the MSI GS70 Stealth gaming laptop. Available from eBuyer, this laptop boasts a range of features that can majorly enhance your gaming experience. To start, the laptop is perfect for gaming on the move. Weighing just 2.66kg and with a thickness of just 0.86 inches, this is the world’s thinnest and lightest gaming laptop, perfect for any on the move action. When it comes to graphics and sound, this laptop is unmatched by its competitors. Comprising two speakers and a subwoofer, you can hear every footstep, gun shot and siren as you play. In addition, the laptop features a unique MSI Audio Boost that enhances sound performance by 30% more. When on the move, sound quality remains the same exceptional level, thanks to the gold flash headphone jack. Graphics-wise, the 17.3” fully HD screen will be the perfect arena for GTA V, displaying crystal clear images. Even the keyboard is designed to optimise gaming. The keys are specially organised for faster and better action and the keyboard itself is backlit, and with over 1000 personal colour combinations, you can really set the gaming mood – totally immersing yourself in the action. Packed full of USB ports, a card reader and even an HDMI port, this laptop is the ideal choice for gamers looking for an exceptional gaming experience. Grand Theft Auto 5 will never look so good! Have you ever come across a frustrating situation in the office and thought: “I wish there was a gadget that would take care of that”? 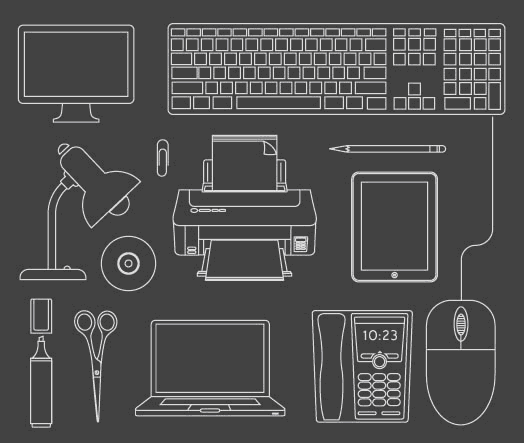 We’re sure you’ll find something you like in our selection of the top office gadgets for 2013. We’ve put together a guide that includes techie, fun and just plain useful devices that we think make great additions to an office environment. When you begin to hear your co-workers complain about cold hands as they tap away on their keyboards, you know winter is coming. Put a stop to their moaning by suggesting that they invest in a pair of USB heated gloves. Simply plug these gloves into the USB port of a computer and they’ll warm up to a toasty 46 degrees in a matter of minutes. These are the perfect Secret Santa gift and you can find a wide selection of these gloves, in fingerless and closed designs, online at Amazon. Sometimes the simplest things make the most impressive gadgets. We’ve all experienced those chaotic mornings, when you’re working 100 miles an hour at your desk trying to get everything done and woops… that takeaway coffee you grabbed on the way in to work goes flying! This particular nightmare can be a thing of the past, with this simple clip on cup holder – available to buy online from Amazon. This is great if your workspace is limited and you’re the sort of person whose desk is a sea of papers. It may be increasingly popular in the home, but technology that allows you to project your iPhone or iPad onto a TV screen is a fantastic tool that can also be used in the business environment. Apple TV, available to buy online from Viking, makes it possible to transmit presentations, photographs, videos and music from an Apple device to a television, without the need for wires. If you’ve got a TV in the boardroom, this a great resource to have for those all-important presentations. When you’re powering through a day at the office, it’s easy to neglect your email inbox. That said, there’s nothing worse than missing a crucial piece of information, an upcoming meeting or even worse – an email from a co-worker saying there’s cake in the staff kitchen! You’ll never miss these crucial emails with this simple gadget, which syncs to your account and lights up each time you receive a new message. You can buy one of these online from Brando, by clicking here. I must admit, the first time I walked into an office and noticed staff sitting on balls at their desks, I was somewhat taken aback. However, swapping the swivel chair for a standard exercise ball – like the ones you see at the gym – could be good for your health. According to this article by Jenny Sugar at fitsugar.com, swapping your office chair for a ball forces you to use your core muscles, which will lead to a toned midriff and could help elevate back pain. What’s more, the small movement that’s required to keep you upright could burn upwards of 30 calories per day. While that may not compensate for the sneaky lunchtime Mars Bar you wolfed down, it’s better than nothing! 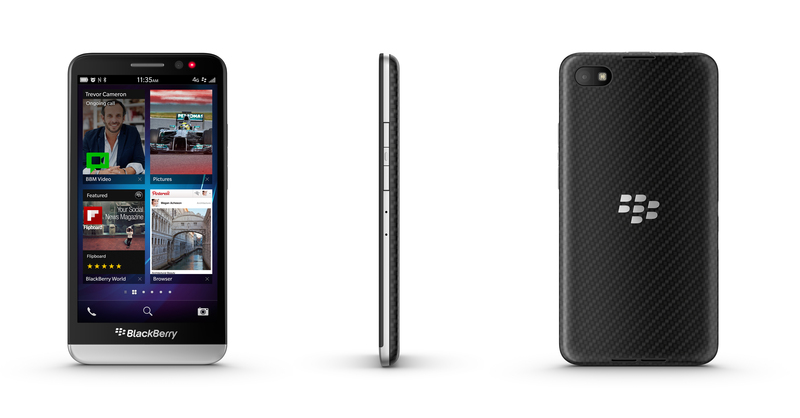 If you fancy picking up BlackBerry’s latest flagship device, the BlackBerry Z30, and you don’t want to buy SIM-free, there’s another option on the table for you now as Vodafone UK have just introduced the Z30 on contract. Available for under £20 on contracts for £37 it may be an option if you aren’t keen to splash the £475 that an unlocked version would set you back. Is it just me of does the Z30 have more than just a passing resemblance to the HTC One?